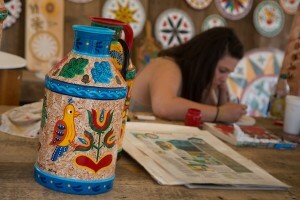 Step back in time and explore the traditional folk art celebrated at this annual event. 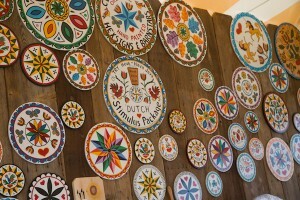 The largest folk life festival in the country, the Kutztown Folk Festival celebrates genuine Pennsylvania Dutch and early American folk artists. Named as a Top 100 Event by the American Bus Association, one America&apos;s Top Celebrations by USA Today, and a "Must See" Festival by the Washington Post- this is one event that every single member of your family will enjoy year after year. Browse crafts created by more than 200 artists as you walk up and down the aisles of the festival grounds. 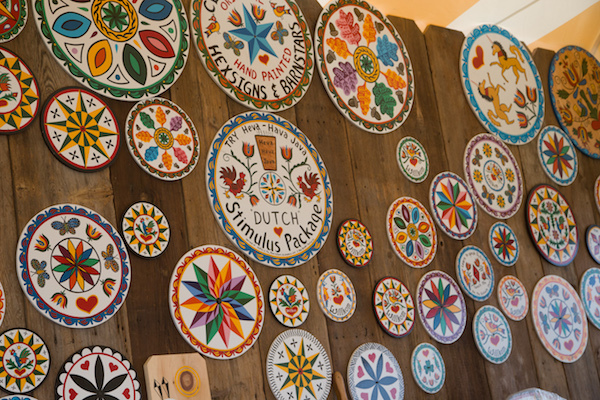 From traditional Dutch hex signs, to clothing, pottery, and so much more, you&apos;ll want to block off a good chunk of time to admire all the pieces that are on display. You can even watch some craftsmen at work right at the festival, including woodcarvers, blacksmiths, and more. One of the most notable (and busiest) areas of the Kutztown Folk Festival is their World-Famous Quilt Barn. Over 2,500 handmade quilts are featured at the festival each year, making it the largest quilt sale in the country. Whether you&apos;re just stopping by the barn to admire these handmade pieces, or plan on purchasing one to take home, you definitely won&apos;t want to miss this. In addition to completed quilts, visitors can also stock up on supplies while at the festival, or even take part in a hands-on demonstration. 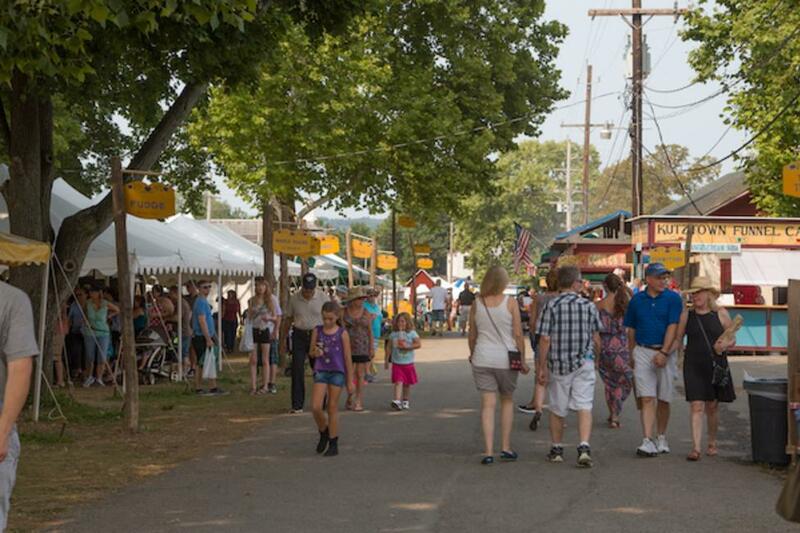 But craft vendors aren&apos;t the only thing to enjoy during your visit to the Kutztown Folk Festival! Catch plenty of live entertainment throughout five stages at the festival including music, square dancing, strolling bands, and more. You&apos;ll also be able to take part in the "Hokiest Parade in America," the festival&apos;s Fourth of July parade. No festival visit is complete without a stop (or seven) at one of the many food vendors on site. Opt for a full-on experience with a seating at an all-you-can-eat Pennsylvania Dutch family-style dinner. Or, pick up a sampling of foods including pot pies, apple dumplings, corn fritters, and more. You can even take some favorite items home with you, including fresh-baked bread from the bread oven. The smell can&apos;t be beat! Create a new family tradition as you explore the Kutztown Folk Festival year after year. In 2016, the Kutztown Folk Festival will be held July 2 - 10. The Festival is held at the Kutztown Fairgrounds. Admission is $14 for adults, $13 for seniors, and $5 for students ages 13 - 17. Children 12 and under are free. Free parking is available on site. Find more details at KutztownFestival.com. Check out this episode of Live Like a Local when we visited the 2015 festival.